When Aaron and I went on both our Northeast Spring Break trip and our "Anniventury" this summer, we ended up spending part of our time in Washington D.C. The first time around, we were only there for a day and a half, so we found ourselves hitting the major highlights quickly before moving on. But when we were there in June for my students' national competition, we had a little more time to really dive into the city and explore. Here are our "best of the best" for D.C., including museums, neighborhoods, restaurants, and getting around the city with ease! You can't visit Washington D.C. without seeing at least a few museums and monuments. 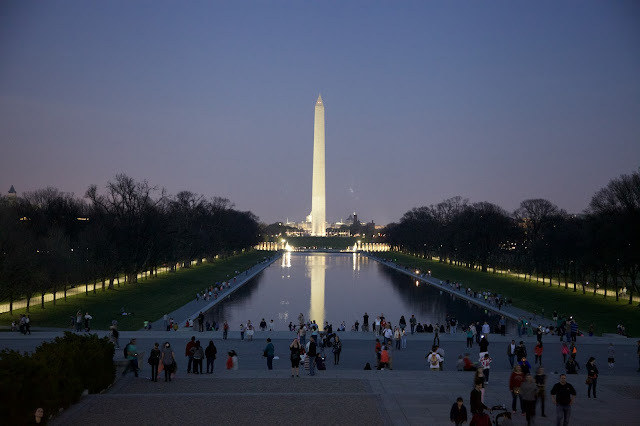 All of our favorites are located on the National Mall. We really love the Air and Space Museum, the American History Museum, and the National Archives. If you visit during certain seasons, they offer extended hours. Admission is free, and these museums are also busier early in the day, so plan out your visit accordingly. Of course, you've also got to make a stop at the Lincoln Memorial, the Jefferson Memorial, and the World War II Memorial. Some of our very favorite neighborhoods in Washington D.C. were places that we didn't initially visit. Of course, you have to visit the National Mall to see the museums and monuments listed above, but D.C. has a lot more to offer too! Georgetown is one of my very favorite areas, with its cute brick streets, endless shopping venues, and great restaurant options. Of course, you have to pick up a Georgetown Cupcake there too! Foggy Bottom is nestled just between Georgetown and Downtown, and it's a great area for a walk and exploring other restaurants. 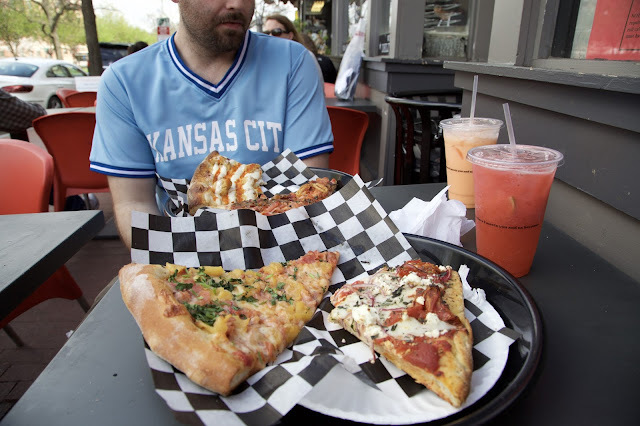 When we returned to D.C. in June for our second visit in three months, we branched out a bit to try new places to eat. On our third wedding anniversary, we made reservations for the ever popular Founding Farmers. It was delicious, unique, and affordable, and I would highly recommend it. We also had We the Pizza: a pizza option with huge slices and homemade sodas. Since we really love our pizza, we also gave &pizza a try. Here, you get to choose all your own toppings, meats, and sauces for a flat rate. Delicious! D.C. has something for all tastes. One of my favorite parts of our second visit to D.C was taking advantage of the Capital BikeShare program. Basically, there are bikes placed throughout the city, and you can rent them for low rates and ride them from station to station. It's quicker than trying to drive through crazy D.C. traffic, saves your feet, and is cheaper than the metro (which we took to get into the heart of the city). Aaron and I each joined the program for three days for $17, and then kept all of our trips to fewer than 30 minutes (which is doable since there are so many stations so close), so we never had to pay the extra fees. We loved it! Of course any visit to D.C. calls for a stay in a cozy hotel of your choice. There are tons of options in a variety of areas throughout the city. 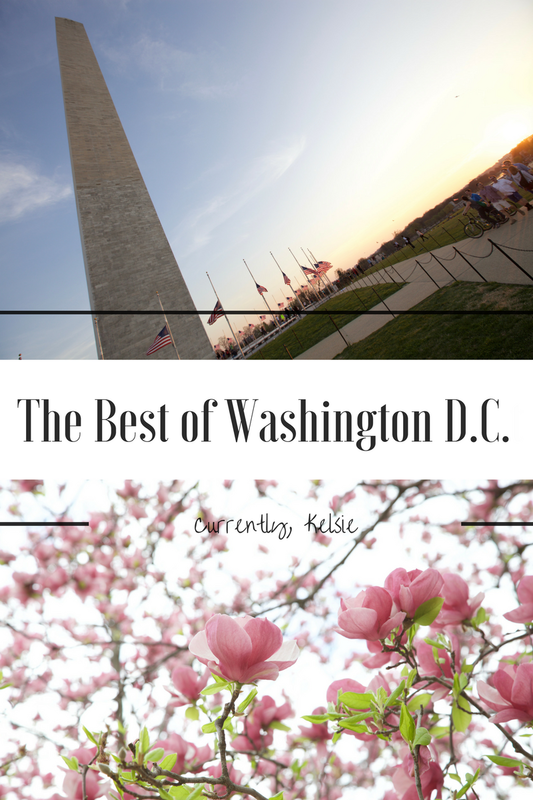 We stayed a little farther out in the suburbs for our last trip, but when we go back again I would love to stay in the Foggy Bottom or Downtown areas, where there are lots of affordable options. All in all, Washington D.C. is a wonderful travel destination for people of all ages. There is history to appreciate, great food to enjoy, and a variety of fun entertainment and nightlife to explore. I have never been to D.C. but it's definitely on my list. Looks like such an incredible trip, Kelsie. It was amazing, and is such a fun city! I need to go back to D.C. I didn't get to do everything I wanted in my first trip. Can't wait! Yes, it is definitely worth a return visit! Perfect! I hope it's helpful. Thanks for reading! YES! We totally will. Thanks for the tips, Rubi! I've never really felt a pull to visit Washington D.C., but lately I've read a few posts like this that have me rethinking things. I think I might go just for the pizza! It's definitely more fun than it may seem, Abby! It's pretty fabulous, for sure! DYING to visit DC!! Ive always wanted to go. Thanks for the tips if I FINALLY ever get to visit. You are so welcome! I hope you make it! Yes! The bikes were a blast!! I have never been to DC before. I have heard there are a lot of great things to do in the area. That pizza looks so yummy!!! I will have to keep these places in mind if I get to visit! The pizza was awesome and it was so much fun! I really enjoy all the history in Washington D.C. It is so moving to see all the museums and memorials. The bike share looks awesome! I have never done that. Sounds like a really great way to get place for cheap. Thanks for sharing! Yes! It was really fun and affordable, with lots to do for really anyone! Washington DC is one of my favorite cities! I loved reading this and finding some new restaurants to visit. I have family there so I usually get out to visit every few years. Awesome! I hope you find a chance to make it back and try a few of them! I was in DC for only 72 hours, and my favorite thing by far was that it was soooo east to walk everywhere! Yes! I love its walkability! I haven't been to DC in many years, and that was with a school group! 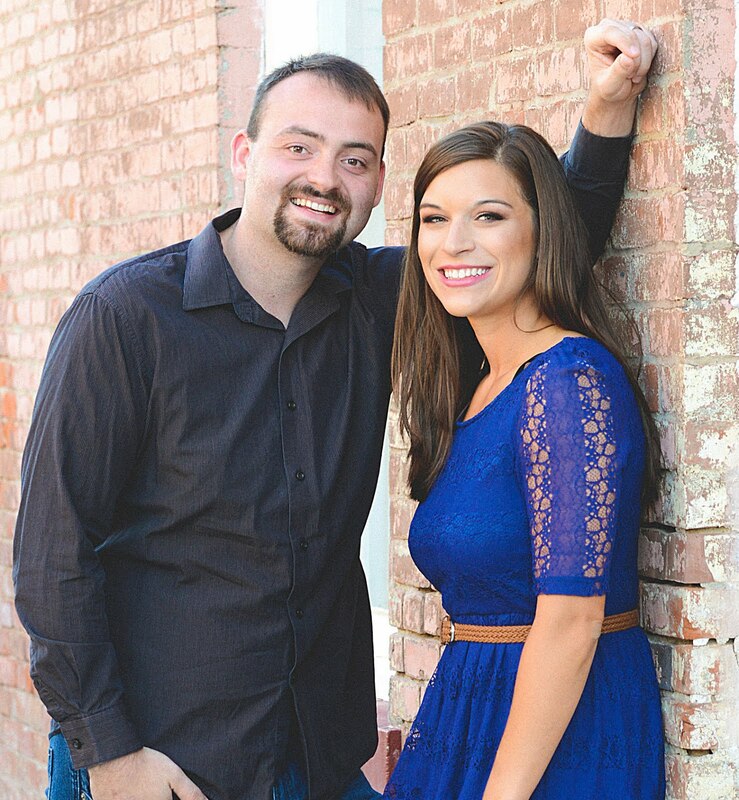 I can't wait to go with my husband because I know it'll be a completely different experience. It is definitely much different every single time I go!